PharmaciesReview.com: 101generic.com review - 101generic.com is a legitimate online pharmacy - PharmaciesReview.com has reviewed 101generic.com and determined that it meets standards for online pharmacy safety and legality. Reputable online pharmacy and reasonable range. Customer service is responsive, 101generic.com a good source for brand and generics medicines. 101generic.com has partnered with an international shipping solution to bring many of the top selling products in the united states to customers all over the world. 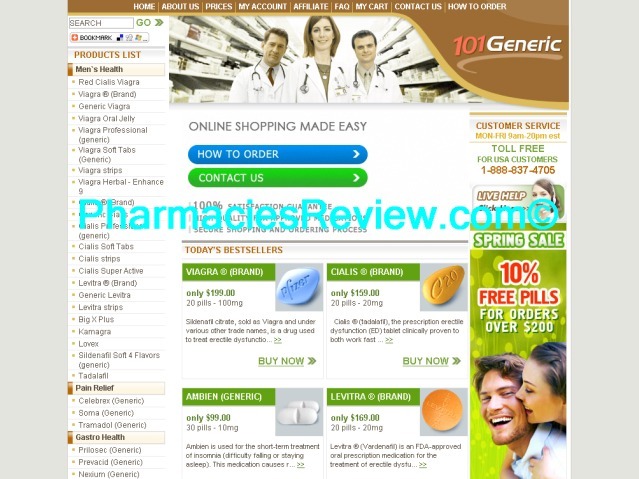 101generic.com one of the largest online drugstore and pharmacy. 101generic.com has been verified as a legitimate online pharmacy by PharmaciesReview.com. Pharmacy description 101generic.com is dedicated to providing cutting-edge medicine through Internet technology. 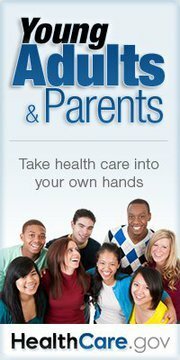 The 101generic.com physicians specialize in consulting with privacy-minded individuals and prescribing popular medications. These medications, sometimes called "embarrassment" drugs, are prescribed and dispensed by our physicians and pharmacists! Will Steal your credit card info!! I used this co. 2x. Then "Daniel Cohen" stole my cc info and charged over $500 of merchandise from Aussiebaum overseas. They are crooks and they pull you in, send you a couple of orders to gain your trust and then BOOM! Steal your credit card info. I had to get a new credit card. My their fraudulent charges were charged back to my card so no dice, Assholes! Get a REAL job. Oh, I contacted the local PD and they are turning it over to Interpol. That is why their website is shut down. HAHAHA! Stay away. You have been warned! they no longer exist on the internet.they have sent me many fake meds.now you cannot even log on to there web site.i have a pak coming any day just cleared custumes in New York.Hope this help.Stay away from these crooks. i am sorry that happend to the bad reviewers and their credit cards...i DO hope i can continue to trust this pharmacy..i love their xanax brand from India more than i like the American brand of xanax...it is suprisingly cleaner feeling...i dont feel so sluggish, and my anxiety is gone! i can roll thru my day nicely with these meds...i just reordered from them!! 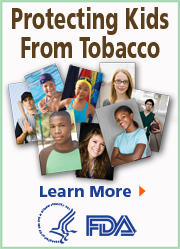 On January 1,2012 I ordered from these people generic ambien and received a confirmation notice from medsupportonline.com. On January 14,2012 My order was charged to my credit card account by www.KLIKANDPAY.com SPARIS FR. One month later I am still waiting for my order to arrive. Their customer service phones 1-888-839-4703 and 1-888-837-4710 are no good and don't bother e-mailing them-No answer. My recommendation...STAY AWAY FROM THIS COMPANY. Samr scenario as Detective, occuring in early November. Am getting lots of emails on every subject - must be selling my info. I used these crooks 3 times and then they used my credit card and purchased $400 worth of merchandise on my card. I called the credit card company and they refunded the charges and sent them to the fraud department. They are crooks and if a guy named Daniel Cohen calls you from this company to do a side deal hang up on him. He is shady. If they haven't gotten you yet, they will trust me! I just had to order a new credit card!!! Used them once and was worried but my medicine arrived within 10 days and it is a Valium made in Asia but let me tell you, it is the real deal. i slept for 6 hours on one pill. I googled the description of the pills to make sure they were not poison and they are real Roche 10mg Valium from Asia. They came discreetly by USPS in an evelope with a plastic sandwich bag. I will buy from again!! I have used 101generic probably 20X, They were always prompt with Fedex second day deliveries. I have not used them in a while because the State of Louisiana prohibits the selling of the medication I was taking without a prescription. I was taking Soma I have 2 bbulging disks in my back and Soma helped with the pain and it helped with insomnia that accompanied the aches after a hard days labor. I wish they would change it back but that is unlikely so I live with the pain and sleeplessness. I am very pleased with the service from 101generic.com . Before placing my order (for generic Viagra) I called them to get a sense about their customer service staff. The person who answered the phone spoke perfect English (what a concept), and quickly answered all my questions. I then placed my order on line, which was very easy. Their ordering screens are excellent and easy to follow. The goods arrived on Feb 3, 2010, well before the projected delivery date, and were boxed appropriately. I was totally satisfied and will buy from them again. I've bought from them for over a yr 1/2 and never had a problem. It does take 2-3 weeks to get your items so do plan ahead, the best times to get customer service from them is about 10-11pm Pacific time as they are in England and that is their morning time. You will create a Cid-Customer Id # and they are good with returning your emails. They cannot give advice on what you are ordering so know ahead of time what you are ordering and what for. I like the products like antibiotics from the New Zealand distributors better than from India, they will take a week longer also than the India distributor to get to you. I saved $1000 on two prescription drugs (half a year supply, generic drugs) from 101generic.com. The ordering was easy and their staff in California very was helpful. Most of all, they quoted 30 days delivery and I received it in 13 days after confirming the order. I definitely would buy from them again. This was the first time I ordered from this company and I was completely happy with the transaction. The order was shipped quickly, was well-packaged, and the price was good. Highly recommended. The Customer service at this company is the best I have experienced in a long long time. There was a mix up in the warehouse and I was shipped the wrong product, product was no longer being manufactured and hard to find. Went through normal channels and got a second order with the wrong product. At this stage most companies would give up and figure they had lost the customer. This company went the extra mile and made sure the order was corrected even though the profit was most likely lost to shipping at this point. They contacted me daily and even called to be sure everything was in order. I know it does not sound great that there were two mix ups but the handling by the representative was superb in this day of no customer service. Things happen in the warehouse, but most companies today would not treat the customer with the care this company did.